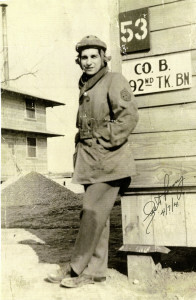 Lester Tenney during World War II. Lester Tenney, a survivor of the Bataan Death March whose harrowing oral-history account of his ordeal as a WWII prisoner of war is an unforgettable component of The National WWII Museum’s Digital Collections, died Friday, February 24, in Carlsbad, California. He was 96. Tenney was tank commander with the 192nd Tank Battalion when he, along with 9,000 American and 60,000 Filipino troops, surrendered to the Japanese at the Battle of Bataan in April 1942. The ensuing Bataan Death March killed thousands during a 90-mile forced march to POW Camp O’Donnell. Tenney’s march lasted 10 days. Conditions at Camp O’Donnell killed thousands more prisoners. Tenney survived that camp and others, passage to Japan in a “hell ship,” torture, and three years of forced labor in a coal mine before he was liberated at the end of the war. His WWII experiences, which he documented in a memoir titled My Hitch in Hell, haunted him all of his life. Tenney is survived by his wife of nearly 57 years, Betty, a son, two stepsons, seven grandchildren, and two great-grandchildren. Our deepest condolences go out to his family, friends, and fellow WWII veterans. 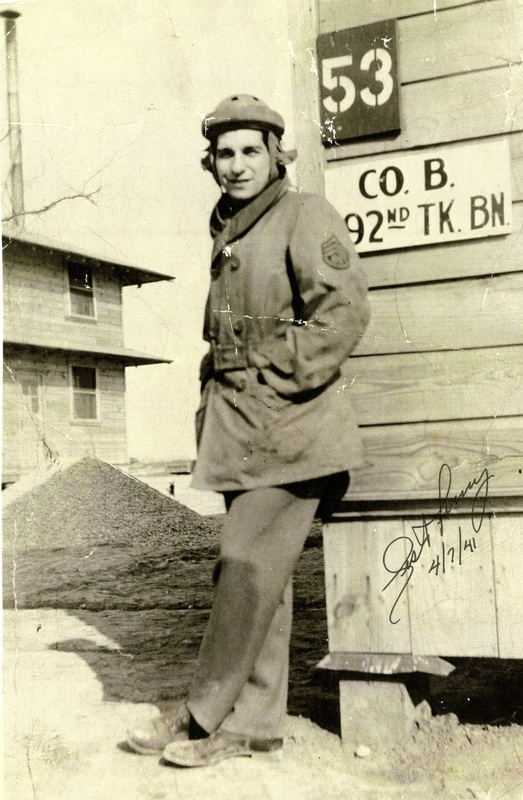 Our gratitude for Lester Tenney’s service and sacrifice—and for his decades of dedication to ensuring that his wartime experiences and those of his fellow POWs would not be forgotten—lives on. 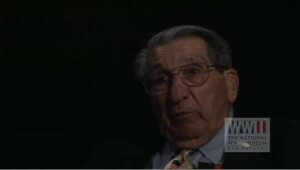 Lester Tenney’s oral history is part of The National WWII Museum’s Digital Collections.